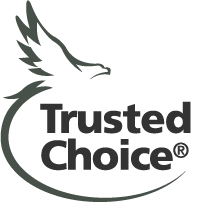 Welcome to the North Central Insurance Agency Blog. Stop by to read about the latest in the industry, check our articles on practical tips related to the areas of insurance we specialize in, and find out some of the latest happenings with NC Insure and the Northern Baltimore County community. David W. Cavey is the owner and President of North Central Insurance Agency, an independent insurance agency offering farm insurance and many other insurance products throughout Maryland and Pennsylvania. For the purposes of today’s discussion, I will concentrate on Greenhouse Insurance as it applies to a farm insurance policy. 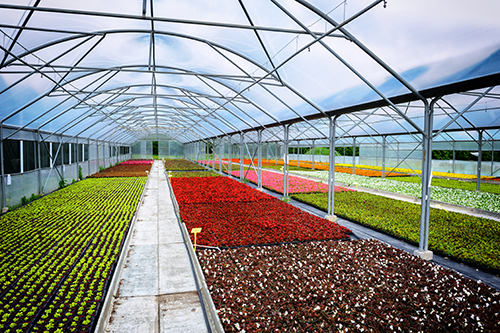 If you have a commercial nursery operation or garden center then you most likely, or should have a commercial insurance policy and that deserves its own discussion. Yesterday marked my 28th anniversary with North Central Insurance Agency. Probably the best part of the job has been the interaction with people. Prior to that, I worked for 9 years on the family farm in Upperco, Maryland and most of my interaction was with Holstein cows. Over the years I have had the privilege of creating relationships with my clients that I am very proud of and grateful for. Being a part of the Hereford Zone community has also been a great experience. Being able to interact daily with the people I grew up with is great. Almost 10% of the Hereford High School graduating class of 1980 has been clients of mine. I have also had the opportunity to volunteer alongside some wonderful dedicated people that have made Northern Baltimore County a better place. You cannot be successful or enjoy your work if you do not surround yourself with good people. The personnel of the companies we work with are a pleasure to deal with. But most importantly has been the staff that I have had the privilege to work with over the last 28 years. Our current staff of Terri, Chrissy, Shawanda do a superb job of working with our clients and are wonderful to work with. Life is Good here in the Hereford Zone on this Beautiful June Afternoon! The Holiday season is often a time for us to reflect back on the past year, thanking the Lord for our friends and family and remembering those who have gone before us and the legacy they left behind. A few months ago my brother Chris retired after 32 years as a local Nationwide insurance agent. This leaves me to carry on the insurance legacy of the family. Our grandfather Raymond Armacost Sr was a farmer. Raising his family during the Great Depression was not an easy task. However, his progressive attitude and sales ability made him successful. He even was able to take his family on a vacation to Florida during the 1930’s. My Grandfather could sell anything from lady Bugs, Seeds, Silos and yes, insurance. He sold farm, home and auto insurance written through the Farm Bureau which later became Nationwide. My Uncle Eldridge took over the insurance sales and grew the business substantially during the 60’s and 70’s. He was a friendly man who could talk to anyone and was a natural born salesman like his father. In 1980 my brother Chris took over the agency and had a successful 32-year run. Meanwhile, in the late 1940s, my mother went to work as a secretary at the Maryland Casualty Insurance Company. That is where she met my father who was a file clerk. Over the next 36 years, Gene Cavey worked his way from the file room to a vice president position in commercial lines insurance underwriting. At age 55 he felt the call to do something different and he and I started North Central Insurance Agency. 27 years later my mother and I continue on, providing the Greater Baltimore area with quality insurance products with exceptional service as has been the case since my Grandfather sold his first policy almost 80 years ago. God has given me a wonderful heritage and blessed me with a beautiful family, great staff and the best clients ever. So, here’s wishing everyone a very blessed Christmas and hopes for a prosperous 2013. Recently North Central Insurance Agency was presented with a unique insurance request. 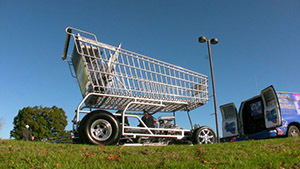 We were contacted by an agent in south-central Pennsylvania that had a potential client that built a motorized shopping cart. This agent was not able to find an insurance market so the North Central team took over the challenge. Before long we had secured coverage for the "Shopper Chopper". For more information about the "Shopper Chopper" and how to secure this unique creation for your next event, visit http://shopperchopper.com. To find an agent that will take the time and has the ability to secure coverage on even the most unique items found in Maryland, Pennsylvania, West Virginia or Delaware, call us at 410-329-6600. Hurricane Sandy or “Frankenstorm” appears on its way toward the Baltimore County region ready to wreak havoc and ruin Halloween plans. Preparation is key. There are many helpful websites includinghttp://www.nhc.noaa.gov/prepare/ready.php. Move your cars are moved away from under trees, power lines or low lying areas. Move any non-secure items such as Grills and lawn furniture inside. Make sure that windows and doors on all buildings are closed and secured. Make sure your gutters and downspouts are clear and drain out away from your house.